﻿Gladiolus mortonius, a sword lily with long tubed pink flowers and a few reddish longitudinal lines. It grows in the summer rainfall areas of South Africa. 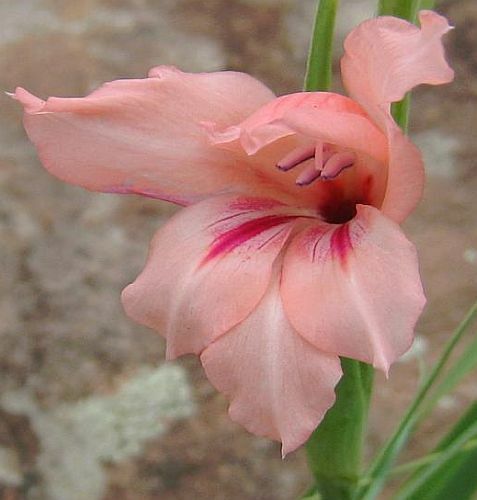 Gladiolus mortonius is an ideal pot plant which produces flower stems around 20-25 cm and very beautiful large flowers.